OMG gorgeous! I want more photos-intriugued by the “iridescent” look! Beautiful design. The ‘iridescence’ effect is best viewed in person because photographing the subtle hues of silk thread is a such a challenge (at least, for me). Stay tuned! Beautiful quilt and your quilting is amazing!!! Love it!! I cannot even imagine how you planned it all out!! 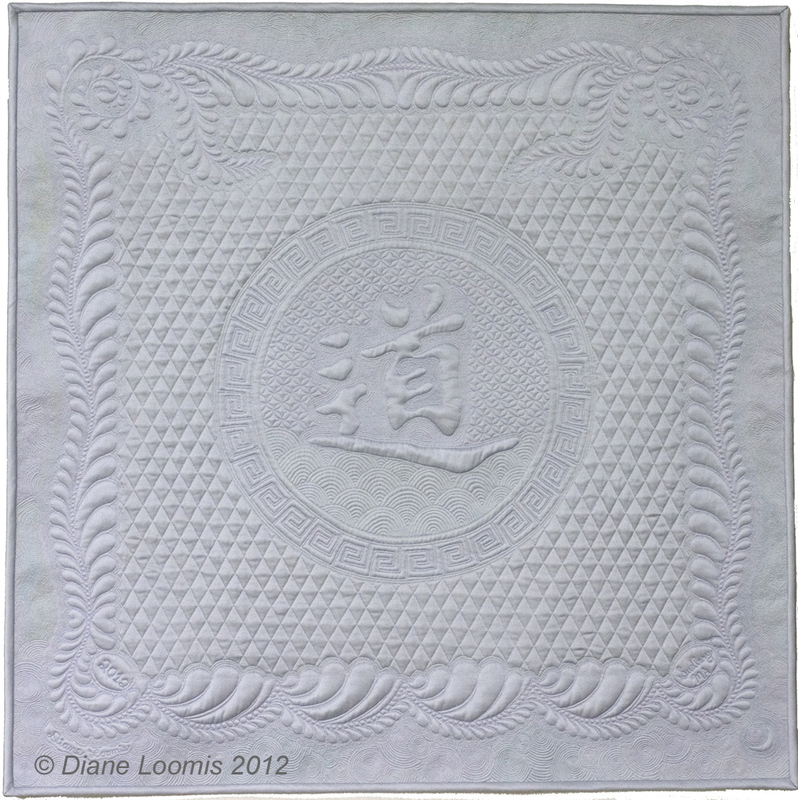 Hi Martha, I draft my small quilts with pencil and a very large eraser, on freezer paper. This is the 4th in a series, so I have some practice, and make new discoveries with each new quilt. Thanks for including me on your blog list!